Subcontracting Internal Quality Audits for businesses and organizations is one of the many capabilities that AQP provides that will improve your business processes as well as insure you are maintaining and improving an effective Quality Management System. The majority of ISO standards require periodic internal audits to determine whether the Quality Management System conforms to the applicable ISO/AS Standard as well as the organizations established process documentation and activities. Also, internal audits are expected to determine if the Quality Management System is effectively implemented. Why Choose AQP for Internal Quality Audits? Some basic math suggests that using an employee can cost a small business owner 25 percent more than it would to hire a subcontractor to do the same audits. By hiring specialists for audits you’ve kept your employees focused on the work they perform best. 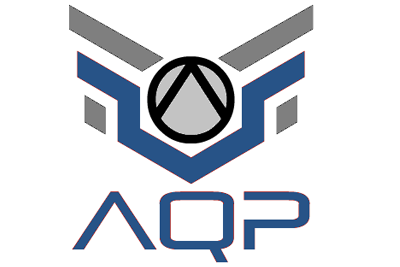 AQP has experience from both sides of the table as a business manager and over a decade as a quality systems auditor. Not only does AQP know what needs to be done but we understand it from your point of view as well. Core competencies and expertise are with AS9100, ISO 9001, ISO 13485, ISO 14001, ISO/TS16949 and ISO 17025 audits. Design the most effective Internal Quality Audit Program to evaluate your company business processes. Develop and maintain a tailored and customized Master Audit Schedule that focuses on “Process Auditing”. Assess the completion and effectiveness of each Audit Corrective Action. AQP also conducts onsite supplier audits on your behalf to insure suppliers have the ability to support your business and are conducting themselves in accordance with your requirements. Supplier audits are an effective tool for monitoring supplier performance as well as for mitigating the inherent risks associated with the contractual relationships with your suppliers. AQP is dedicated to providing you with the highest quality AS 9100/ISO 9001 training in the most convenient manner. Courses are custom designed to support AS/ISO implementation and provide long term organizational benefit. AQP uses the latest in adult learning principles in the development and presentation of its training programs and focuses on the principle of “learn and do”. Plan – Students understand what they are about to learn and why. Do – They acquire the knowledge or skill. Check – They verify the acquisition of the knowledge or skill. Act – And they practice the skill in a real world, company specific activities. The AS/ISO training teaching methodology for our AS 9100/ISO 9001 training courses include class room sessions, group exercises, case studies, situational simulations and takes advantage of over 20 years of experience to present real world examples participants can easily relate to. Group discussions and interactions are especially emphasized for greater internalization of the topics covered. AQP delivers targeted and actionable content at key stages of the project. The goal is long-term knowledge retention, improved subject mastery and improved on-the-job performance. We customize every AS/ISO training activity to the exact needs and objectives of our clients. Because we are a full-service, end-to-end provider of AS 9100/ISO 9001 implementation and continual improvement services, we move your company beyond canned courseware and simple classes to strategic learning that not only makes a difference to your AS/ISO implementation, but saves time and money over the long term. Building effective AS 9100/ISO 9001 management and audit skills start with effective training. Our training activities help you develop and refine the skills you need to establish, implement and manage your QMS more effectively. AQP offers internal auditor training to help customers continually improve the effectiveness of their quality management systems.